When he does his nightly examen, Pope Francis says he feels consolation in seeing how God has been leading him, even as he asks forgiveness for the times he’s been an obstacle to the Spirit’s bidding. The Pope shared this personal detail because, as he said, he was “with family,” during an Oct. 24 question-and-answer session held with the General Congregation of his religious order, the Society of Jesus. The questions — more than a dozen of them — touched on issues ranging from the treatment of indigenous peoples, to discerning morality, to living in a polarized political society, to promoting vocations. He spoke of clericalism, rigidity in seminaries, and world peace, as well as a few issues directly related to the Jesuit vocation. “I am talking to family, so I can say it: I am rather pessimistic, always! I am not saying that I am depressive, because that is not true. But it is true that I tend to focus on what did not work well. So for me consolation is the best antidepressant I have ever found! I find it when I stand before the Lord, and let Him manifest what He has done during the day. Pope Francis also spoke about the need to confront the tendency to disregard or forget about Church documents whenever a new letter or exhortation comes along. “One of the dangers of the pope’s writings is that they create a little enthusiasm, but then others come along and the preceding ones are filed away,” he suggested. 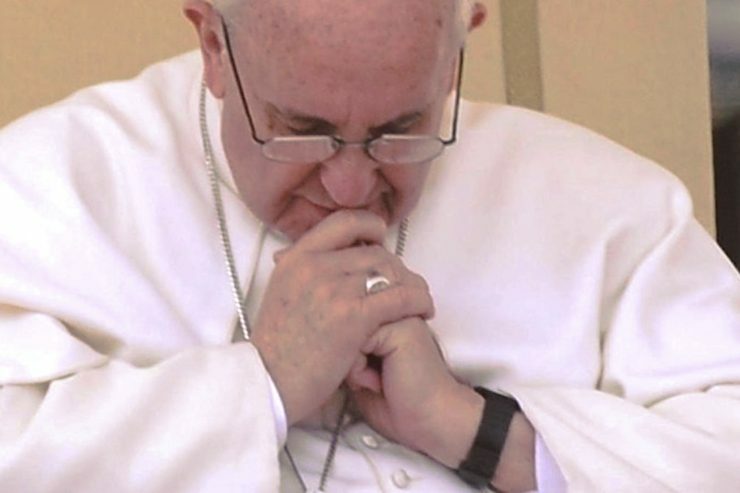 The Pope said Evangelii gaudium should be used as a framework, as it combines Paul VI’s 1975 apostolic exhortation Evangelii nuntiandi (which Francis described as “for me … the most important pastoral document written after Vatican II”) and the Aparecida document. The Aparecida Document was produced at the fifth general conference of the episcopates of Latin America and the Caribbean in 2007. The future Pope Francis played a key role at the meeting and in the document, which calls for a “continental mission.” It has been a guiding document in the work of the Church in Latin America since 2007. Pope Francis has made reference to it on several occasions since his election to the See of Peter. The Holy Father said that the strength of Evangelii gaudium, though it followed on the 2013 synod on the theme of evangelization, was “to return to those two documents, to refresh them, and to offer them again in a new presentation. Evangelii gaudium is the apostolic framework of the Church today,” he said. The Pontiff also offered some reflections on poverty, drawing especially from Jesuit spirituality, saying the founder of the Society of Jesus didn’t practice poverty just for asceticism, but truly out of love. “The view of St. Ignatius is not just an ascetic attitude, as if to pinch me so that it pains me more, but it is a love of poverty as a way of life, as a way of salvation, an ecclesial way.